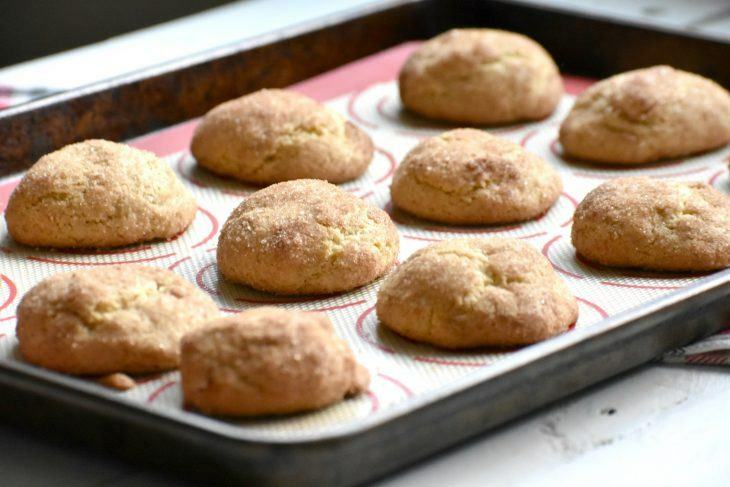 Gluten Free and Dairy Free Snickerdoodle. Perfect cookie for the Holidays. 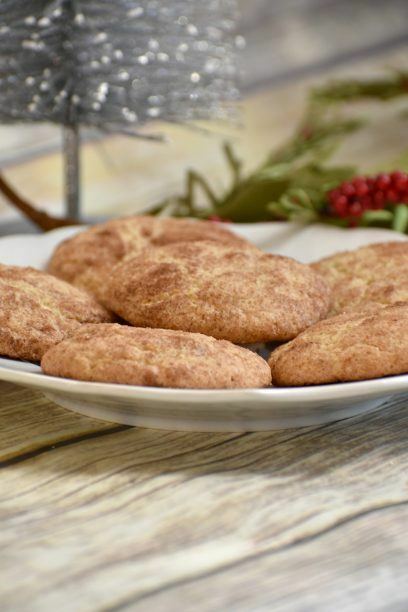 Finding a gluten free and dairy free snickerdoodle with the perfect texture is not an easy task. 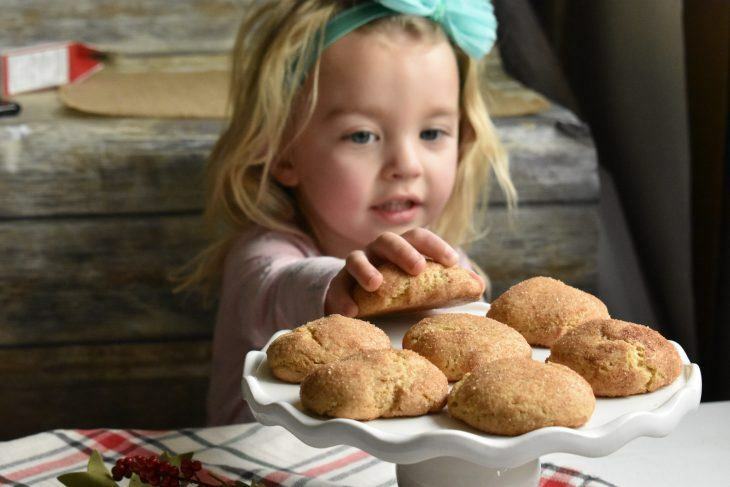 It took some playing around with the amounts of flour and the temperature of the dough to figure out exactly how to make these the perfect texture. 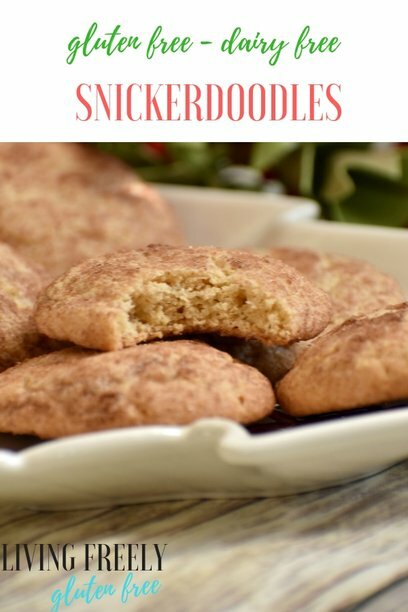 This gluten free and dairy free snickerdoodle post contains affiliate links. 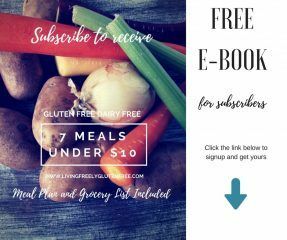 Living Freely Gluten Free makes a very small percentage of any purchases made through these links. This income helps to cover the cost of running this site and bringing you delicious and practical recipes. Thank you for your support. 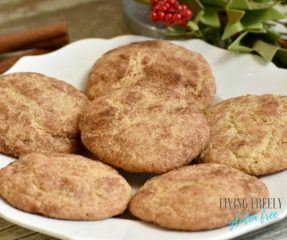 Growing up I have always loved snickerdoodle cookies because they remind me of Christmas, and they were always a cookie I would turn to for the holidays. Soft, fluffy, and melt in your mouth deliciousness. The cinnamon sweetness with that burst from the cream of tartar is incomparable. I had made them after going gluten free with success, but attempting them dairy free was another story. 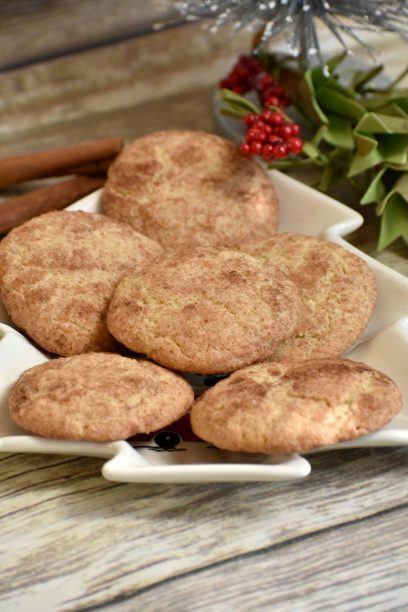 The goal of a snickerdoodle is to have the right amount of fluffiness with a slight crunch on the outside. 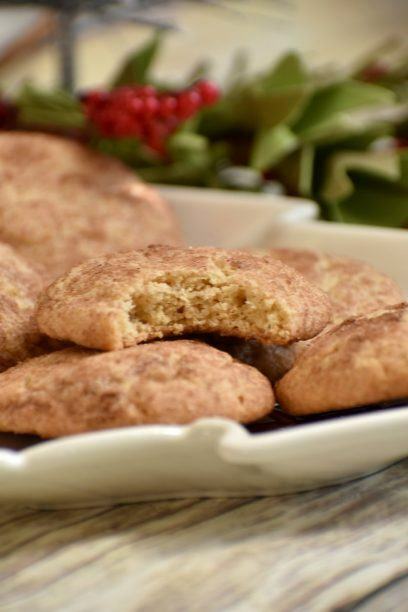 The first round provided me with a soft and fluffy cookie, I enjoyed it, but realized it wasn’t the texture most would long for in a gluten free and dairy free snickerdoodle. The second round provided a flat and crispy cookie. Great to go along with an afternoon tea, but not the soft and chewy center that I was working towards. The third round turned out perfect. I realized the key to success was the amount of baking soda and how long I chilled the dough for. The longer you chill the dough, the better your results. About 2 hours is preferred. These gluten free and dairy free snickerdoodles were chilled for about 2 hours. They fluffed up nicely. If you want a gluten free and dairy free snickerdoodle cookie that tastes like the real deal, then dairy free butter is a must. 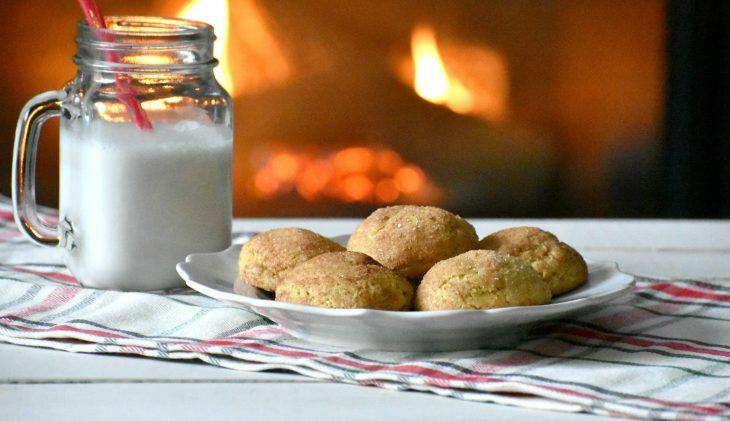 I tried coconut oil, but nothing gives the cookies their texture and flavor that you want and need like a simple dairy free butter. There are many options available to you now to choose from. I made these gluten free and dairy free snickerdoodle cookies 4-5 times, so I have perfected it. They have been taste tested by my neighbors, my fellow PTO Mama’s, my immediate family, and many others I handed them out to so I wouldn’t eat them all. Incidentally, I injured my finger nail this week. Luckily, I got these cookies done and figured out before this accident, however, I had to cancel Cooking and Cocktails and I was super bummed about that. My friend Marilyn who owns Kember’s Gluten Free was driving up here from Portland to go live with me and cook her amazing pizza crusts. We are planning to reschedule for January, so stay tuned for that. The Christmas countdown has begun and I am checking things off of my list. It’s crazy how much I have to do for the holidays. Don’t get me wrong, I LOVE Christmas, but why is literally every task except for the Christmas lights my responsibility? Ugh, it makes it exhausting, but the kids are growing fast so I am doing my best to get it done and stay cheerful. The school didn’t do much for the kids this year. This made it easier on my part, but I was a little disappointed at the same time that they didn’t have a party or sing Christmas songs. Little holiday concerts and things that the kids get to do are something I always look forward to. My next task is attempting the cinnamon rolls again, those are some tricky and temperamental punks. I hope the dough cooperates with me. There will also have a light but decadent Orange Cranberry Loaf up the blog soon. You truly get the perfect amount of citrus, tart, and sweetness all rolled into one delicious loaf. You will LOVE it. Even my sister whom hates oranges was raving good things about it, she said, “The contrast of the orange is perfect. It’s crazy how you blend things I don’t like into something so delicious.” I’ll take it and I hope you make some! 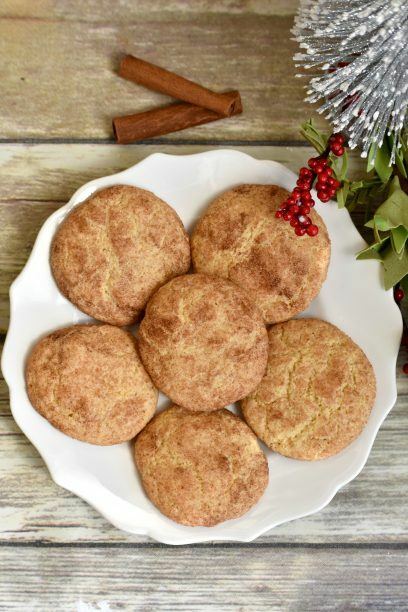 So, go make some of these amazing gluten free and dairy free snickerdoodles cookies and Happy Holidays to you and yours! These delicious cookies taste better than the original. In a stand mixer, or with a hand mixer cream butter, sugar, and brown sugar. Add cream of tartar, baking soda, and salt. Beat for 1 minute. Scrape down the sides. Add xanthan gum, tapioca starch, gluten free flour and mix for 3 minutes scraping the sides halfway through. Chill the dough for 20 minutes to an hour. While the dough is chilling make the topping by simply stirring the sugar and cinnamon together in a bowl. Using a spoon, or a cookie scoop form a ball with the dough and then drop into the topping coating it on all sides. Line a baking sheet with parchment paper and drop the cookie dough ball on the parchment paper placing them 2-3 inches apart. Bake for 14 minutes. Enjoy! If you like this recipe then you will LOVE all of the recipes in my cookbook, Living Freely Gluten Free. There are over 100 delicious and practical recipes! They are all gluten and dairy free made with easy to find ingredients. Get your copy now! Looks like a yummy recipe. 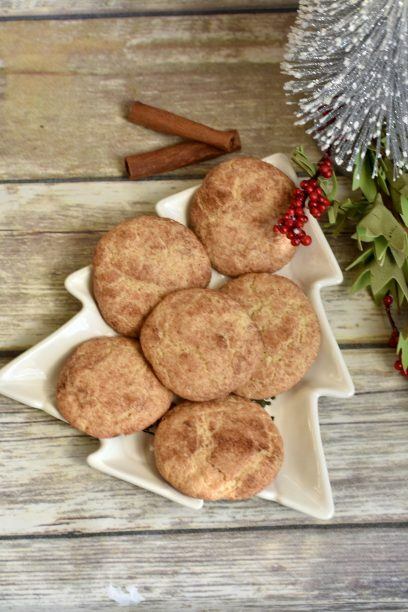 We make vegan snickerdoodles every Dec for a cookie bake party and they are always a hit. Thank you, I will try these soon. Can you use coconut oil instead of vegan butter? Thanks Cristi! I’m so glad you enjoyed them!